There are plenty of gun belt questions that people have prior to purchase. They should have some - this is an item that helps keep a GUN secured where one puts it; it's not like it's a pocket square or something trivial. From time to time, we do get gun belt questions, such as those that we've already covered. However, here are some fast answers to other common questions about gun belts. Should Gun Belt Leather Be Strong Or Merely Thick? There are a lot of leather gun belts out there, and some wonder if gun belt leather needs to merely be thick in order to also be strong. The answer is that ideally, a gun belt should be a bit of both. In truth, thickness alone is not sufficient; even thick leather breaks in and begins to soften. All leather does this and there is no way to ward it off. That's why our gun belts are made from two layers of leather and (if the reinforced model is selected) given a spring steel core. Once the leather breaks in, there are two layers of it and a reinforcing material that ensures long-lasting rigidity. A belt made of simply one strap of beefy leather has nothing to back it up. Once it softens, it may no longer be able to fully support a pistol and holster. Once that happens, gun sag sets in...and there is no coming back from that. Do I Need A Gun Belt? If you're going to carry a pistol with a waistband holster, yes. There are no exceptions to that at all. 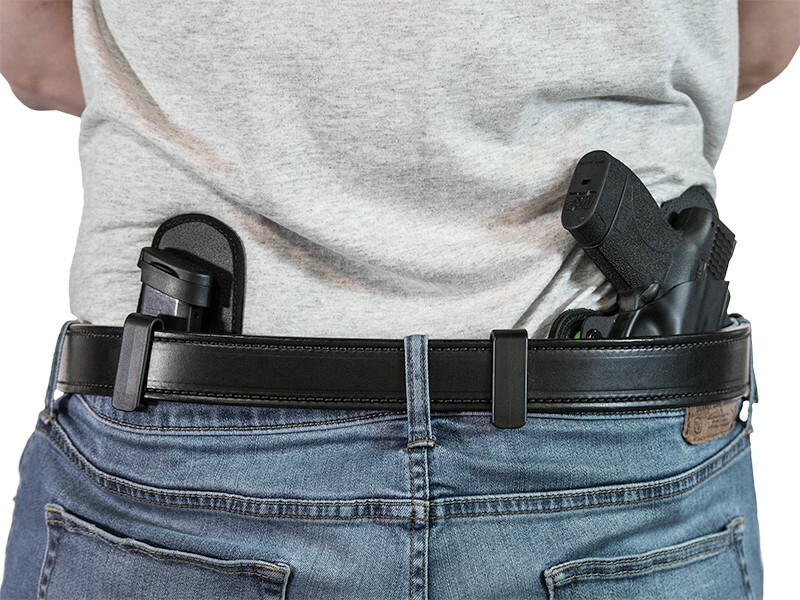 Whether you will or already do carry inside or outside the waistband...you need a gun belt. A regular belt is not strong enough. Just like sticking a pistol into the waistband does not adequately secure a firearm, an inadequate gun belt won't keep a pistol securely in place. The result will be gun sag and a possible droppage of your firearm with sufficient activity. If you pocket carry, it's still a good idea. It isn't necessary with a shoulder holster or an ankle holster, but otherwise...you need a gun belt. Why Are Gun Belts So Expensive? In most cases, the reasons gun belts have a higher price than the typical belt - say one you buy at a department store - mostly starts with the materials used. 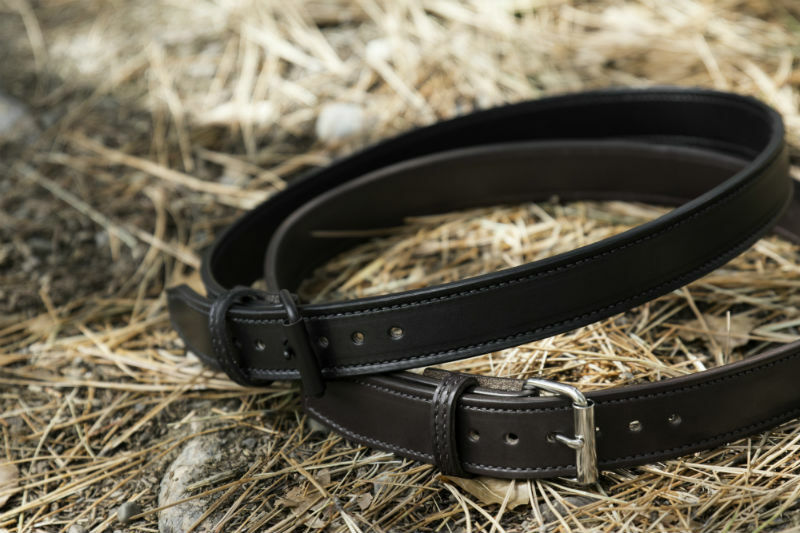 Gun belts, by nature, have to hold up more weight than a normal belt and do so for extended periods of time. 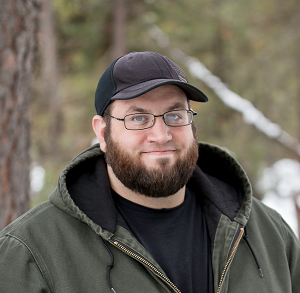 You should be able to wear one all day, without any significant travel of the holster and pistol or discomfort. The typical nylon weave is not that strong, so a nylon/tactical gun belt needs to be made from a stronger weave than cheap web belts. Leather gun belts have to be made from a stronger, higher quality leather. Most leather belts you get in stores are genuine leather - one of the lowest grades of hide. Since genuine leather is made from the softest, weakest part of an animal's skin, it doesn't have much capacity for work. Specifically, for holding up your pants, holster and gun. 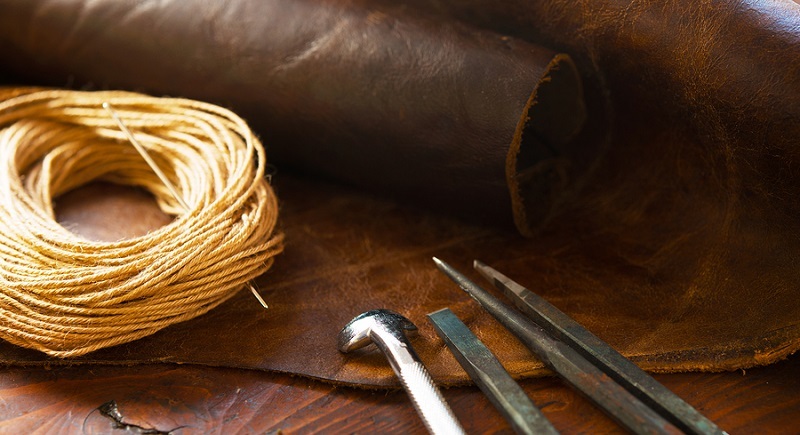 Higher quality grades of leather, such as full grain and top grain, are of better quality in appearance and function. However, there's less full and top grain hide per cow hide. Therefore, there's less of it to go around. As a result, products made with these leathers are more expensive. A good gun belt is an investment in a carry system. If you spend on a quality item once, you can reap the benefits for longer. Can A Carry Belt Handle My (Insert Gun Here)? Most likely, yes; a good carry belt can handle the gun that you have. The vast majority of pistols can be holstered and carried with the vast majority of gun belts. 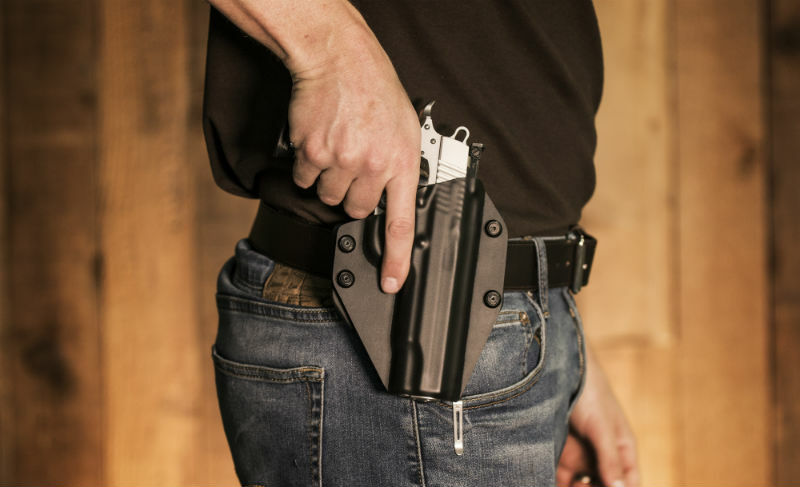 Full-size service pistols may require a stouter belt than others, but most handguns that anyone carries with any sort of frequency are perfectly carried with a good number of gun belts. There may be some pistols that many gun belts will struggle to carry. For instance, there "pistols" in name only, such as AR designs that are classified as pistols. There are also some large hunting pistols...but carrying them with a belt holster may be quite awkward. Such pistols often require a special scabbard to carry and in truth aren't the most suitable for carrying every day. So in reality, unless you're carrying an S&W .500...a decent gun belt is going to be just fine.